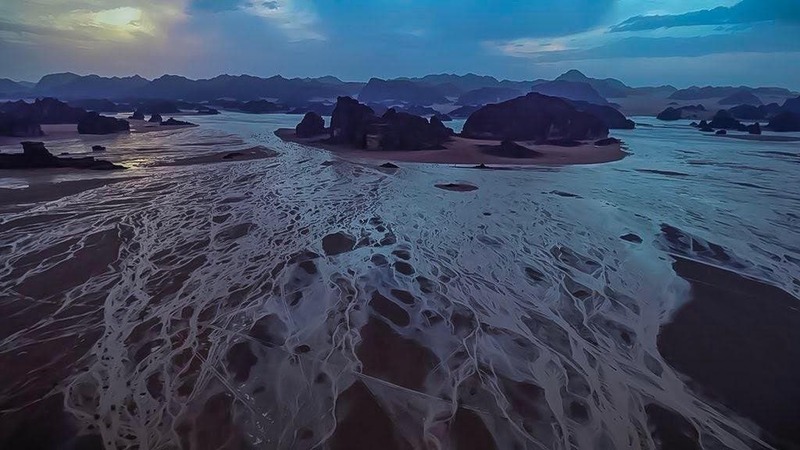 Photography enthusiasts got a not-so-often opportunity to snap amazing shots of water formations near the mountains of NEOM city in Saudi Arabia in the aftermath of heavy showers during the past few days. 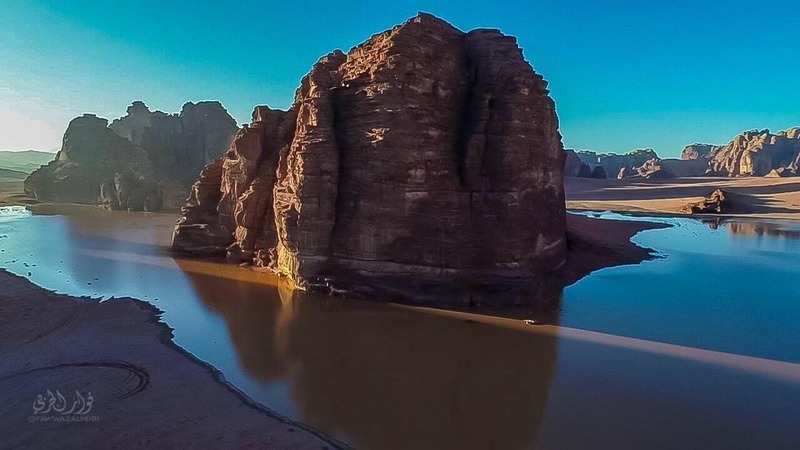 NEOM is a planned 10,230-square-mile transnational city and economic zone to be constructed in Tabuk, Saudi Arabia, close to the border region of Saudi Arabia and Egypt and the Red Sea. 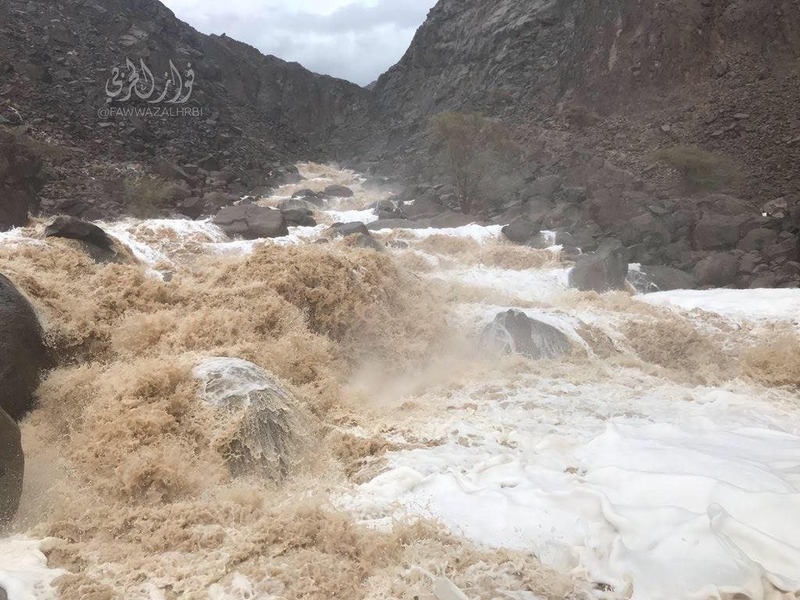 In Tabuk, photographers managed to capture scenes of waterfalls flowing from the top of the mountains creating a beautiful view that encapsulated the landscapes of Bajddah and other Tabuk region near the Red Sea coast. Water lakes surrounding the mountains in some area also got the shutterbugs excited leading to some breathtaking shots. 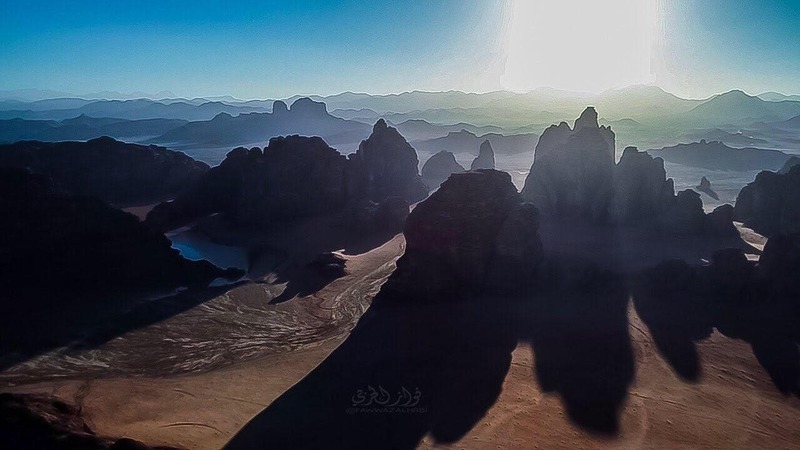 Sandstone formations as a result of showers in Tabuk have also left behind beautiful scenes, which were documented by amateurs who tracked the clouds during the rainy season in different places. 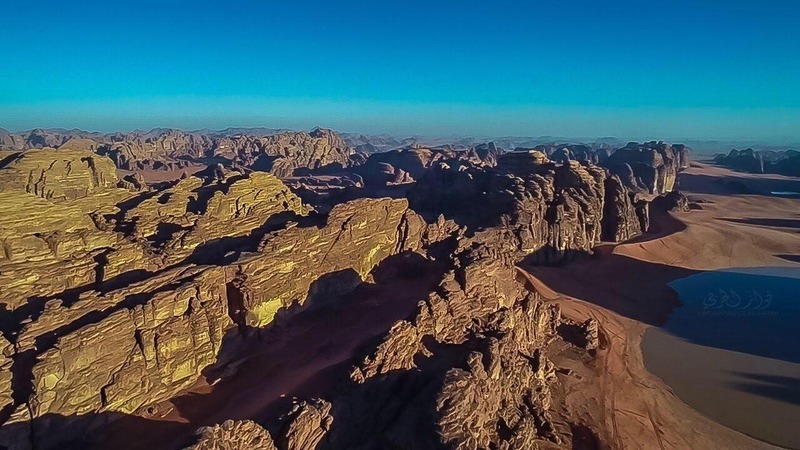 The Bajddah Mountains in Tabuk are part of the new NEOM project and are characterized by an amazing and rare stone and rock formations. 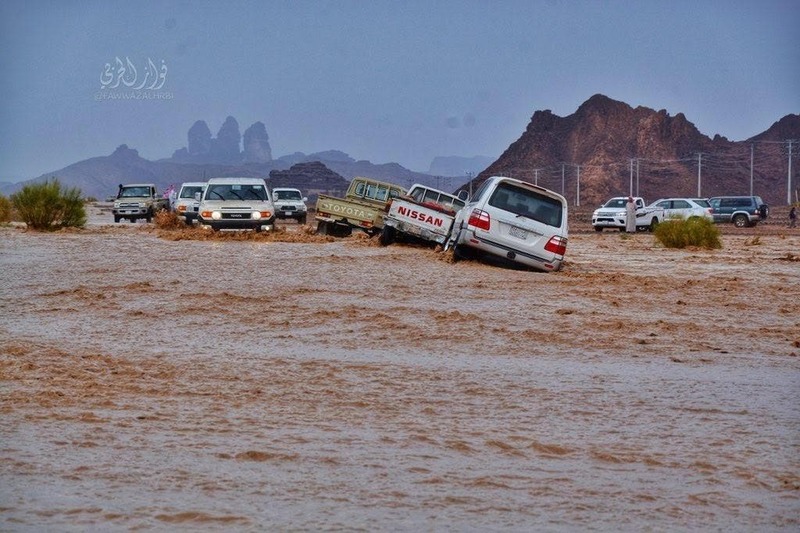 Fawaz al-Harbi, a field observer, traveled inside Tabuk to capture the landscapes and waited for the showers to unleash. He then captured the landscapes in a range of photographs, which he shared on social media. “The mountain formations in Tabuk are different with a unique topography. 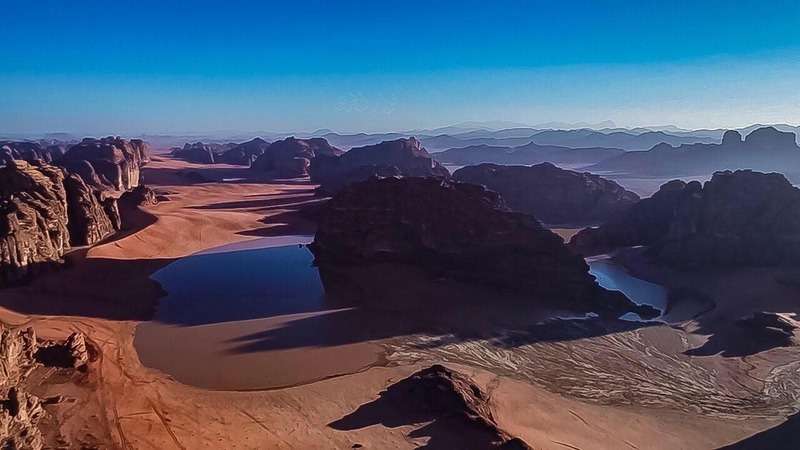 Documenting it would make the photographer and the photos of mountains surrounded by sand in different colors, causes immediate attention,” al-Harbi told Al Arabiya English. 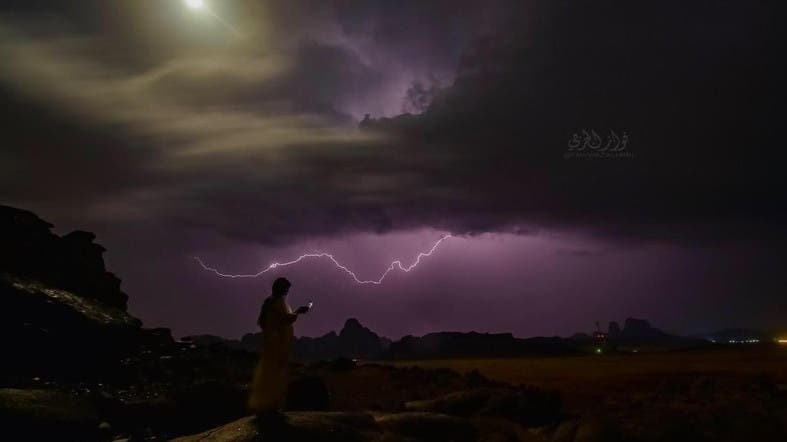 Al-Harbi said that he tracks the clouds before it reaches the region and waits patiently for the rain. Often he stays in a place waiting for more than six hours at a time to capture the clouds, especially if they covering areas of different and beautiful terrain. 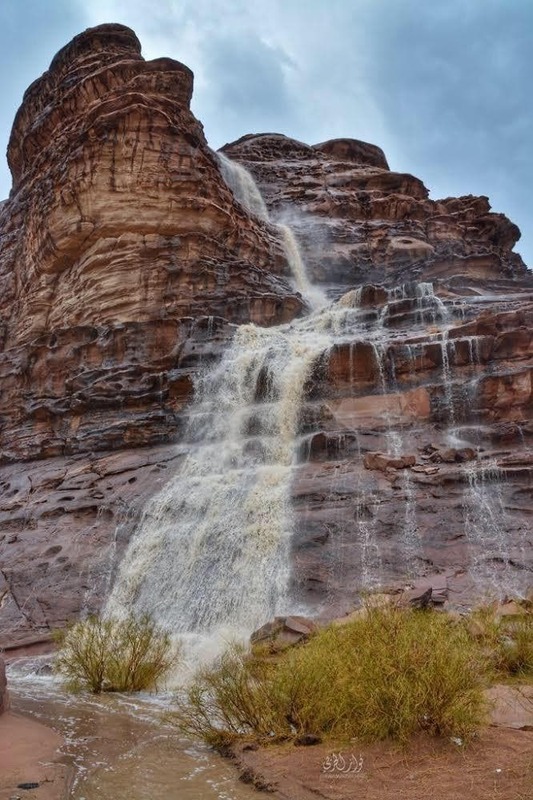 “In Tabuk we know the waterfalls sites that gather near some mountains. 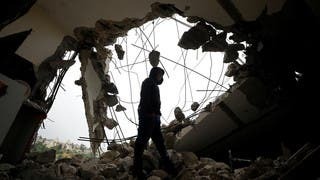 So we stay next to these sites to document and shoot them for those interested in nature, especially as the region has slowly gained global attraction,” al-Harbi added.